Thank you for registering for the Old-Growth Forests Webinar Series! We’ll be in touch soon with all the details you need to connect online. If you have questions, please contact galen@sierraclub.bc.ca. 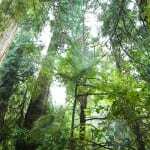 If you haven’t donated to Sierra Club BC yet this year, your tax-deductible donation of at least $15 gets you a membership in BC’s longest running environmental organization, exclusive invites to events, subscriptions to our monthly e-newsletter Sierra Life, twice yearly Sierra Report in the mail, and more. Would you consider making a gift to Sierra Club BC today to support your participation?